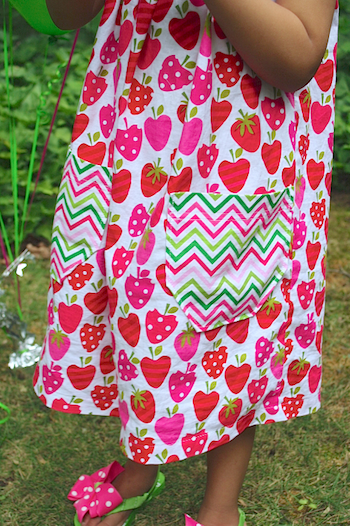 **This was originally posted on Melly Sews as part of a Summer Sundress Series. Hi everybody! 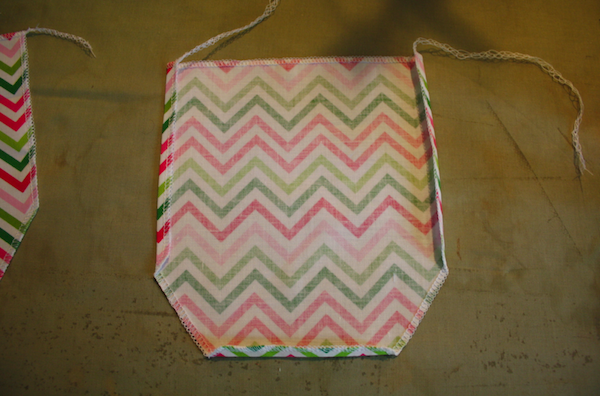 I’m Melissa and I blog over at Sew Like My Mom. I was absolutely tickled when Melissa asked me to participate in her Sundress Series. I had some difficulty deciding exactly what I wanted to make for this. My oldest turned 4 this month and after a recent trip through her closet, I knew she was in desperate need of new dresses. A recent growth spurt has left her hem lines creeping up higher than I’d like to see. Since everything in her world is pink and twirly and over-the-top girly, I knew I’d have to remedy this quick! I envisioned a shirred number or a maxi dress, but others did dresses pretty close to what I was planning! 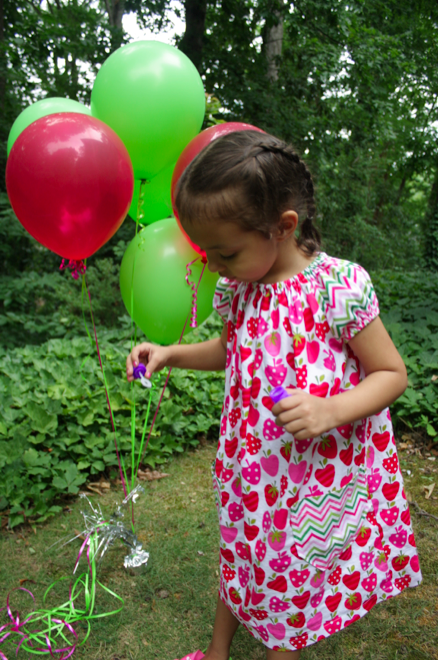 So went back to one of my favorites–an easy, basic sew–and put a few twists on it for my birthday girl. 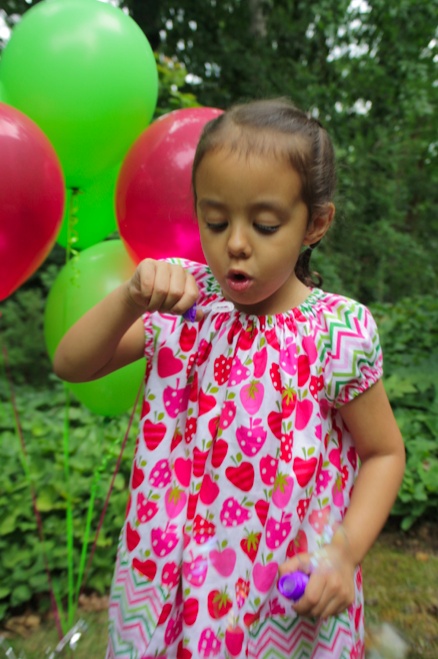 She’s had a love for all things Strawberry Shortcake for some time now. I made her a costume for Halloween but it wasn’t appropriate for her summer birthday. She still wears it regularly, though! 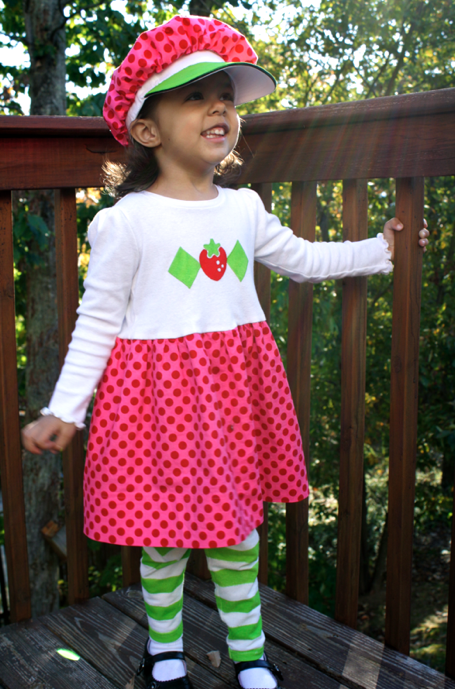 I wanted to do something that honored her love of Strawberry without screaming “STRAWBERRY SHORTCAKE!” this time. 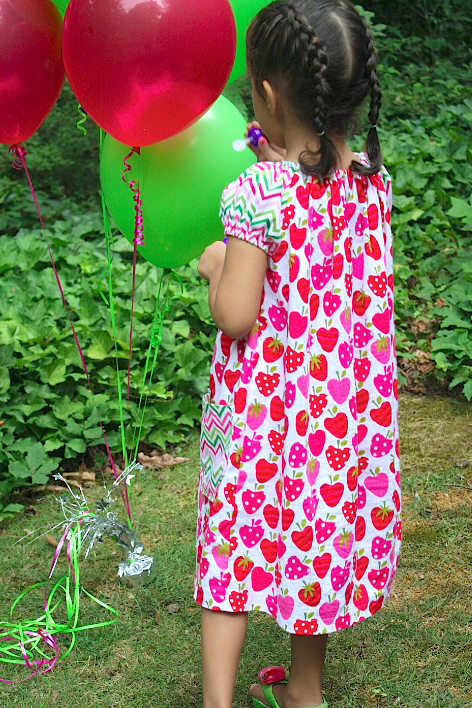 I saw this fabric by Ann Kelle months ago and knew it would be perfect for her birthday dress. 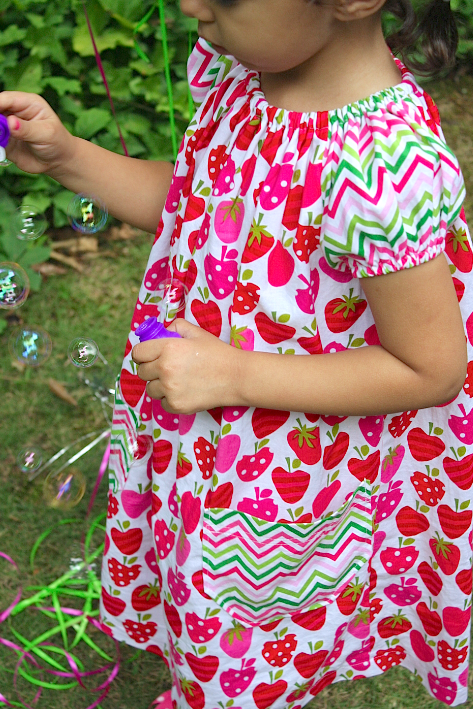 Using my peasant dress tutorial, I was able to make her this adorable dress. The sleeves are short for the warm weather and it’s got pockets that are big enough to actually carry treasures in. She’s made great use of those pockets already! 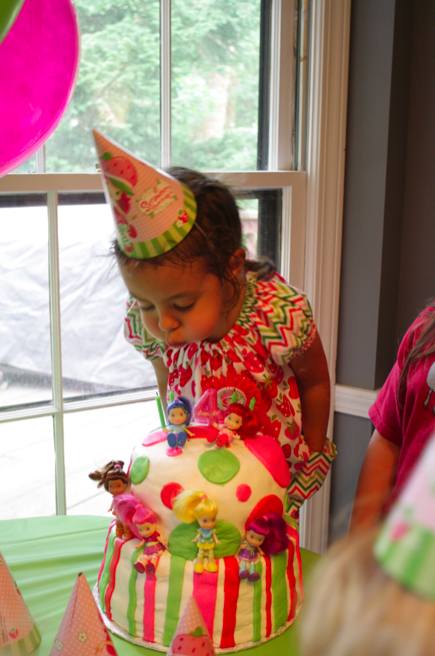 Even shoving her hands in them while she blew out the candles on her birthday cake! 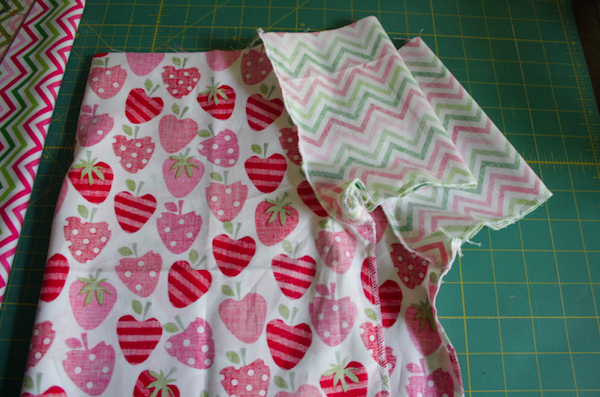 You’ll need to read my peasant dress tutorial for this to make sense! It was pretty easy to convert my long sleeve dress to this updated summer version. I knew I wanted it long enough for her to keep growing taller so I cut my main fabric into 2 pieces 24″ long by the width of the fabric, about 22″. For the sleeves, I wanted them as short as I could make them. 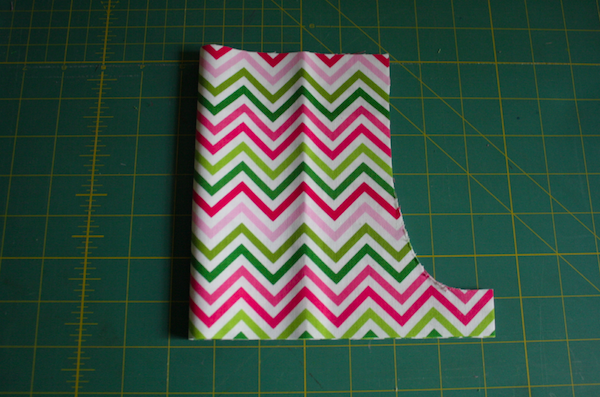 For the 2T/3T I made previously, I made a little pattern piece for the arm holes that was 5″ long and 2″ wide. 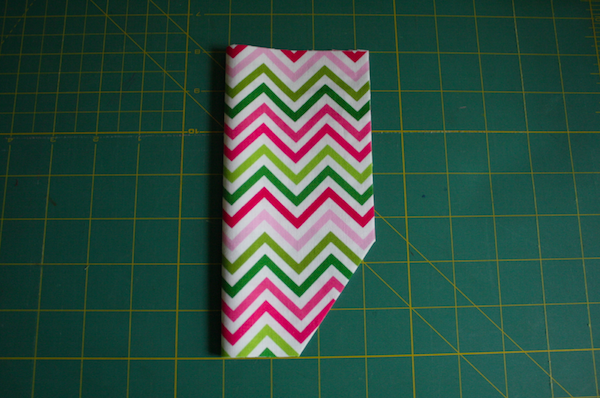 For my size 4 version, I made it 6″ long and 2″ wide. 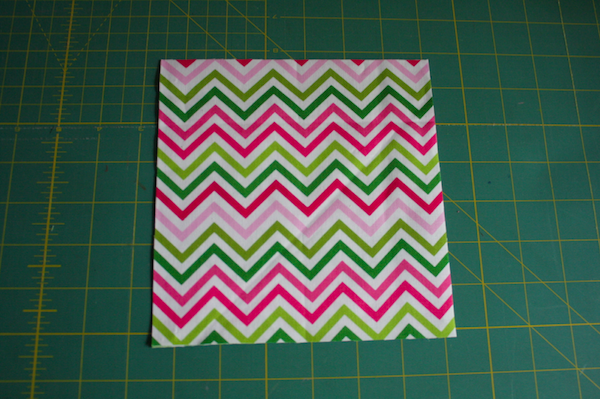 I didn’t use a pattern piece, I freehand cut this with my rotary cutter. 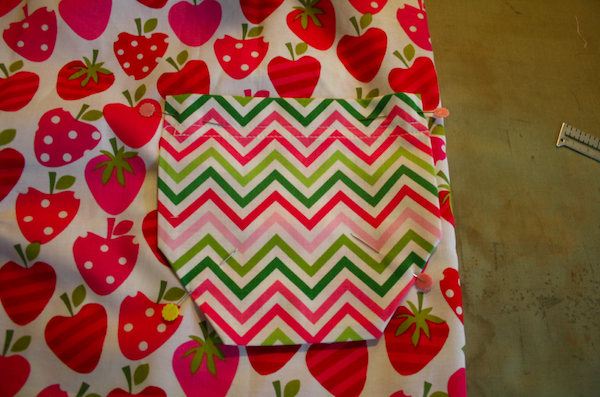 The sleeve pieces are 14″ wide and 7″ long, leaving just 1″ for the bottom cuff. 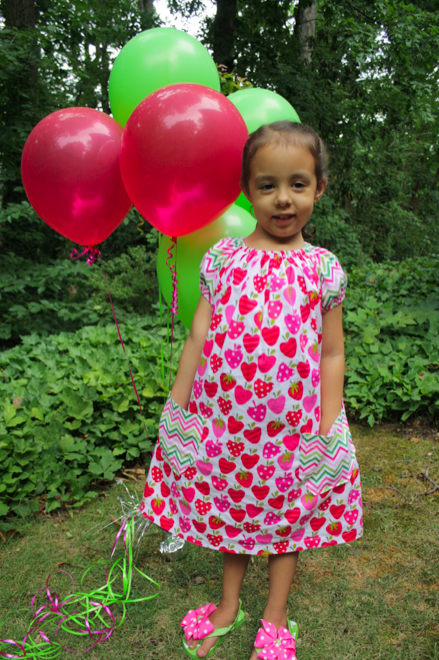 **I used a serger while making this dress. If you don’t have a serger and will be turning your hem and casings twice, take that into consideration when measuring and cutting and double the amount of space you’ll need. because the sleeves are much shorter. 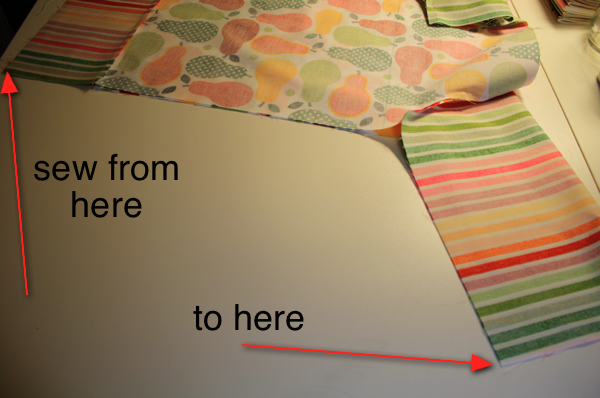 I turned up the sleeve hem 3/8″ and stitched. I turned the neck casing down 5/8″ and stitched. 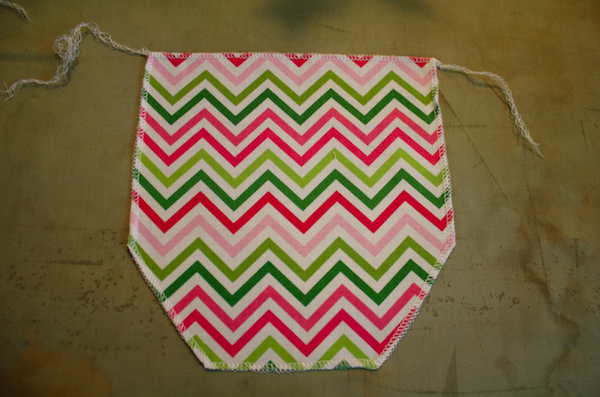 I made it wider because I had the room for it and I wanted to give the fabric as much room to bunch as possible. I wanted the pockets to be sizable, so I took the pieces left after cutting my sleeves and used them. 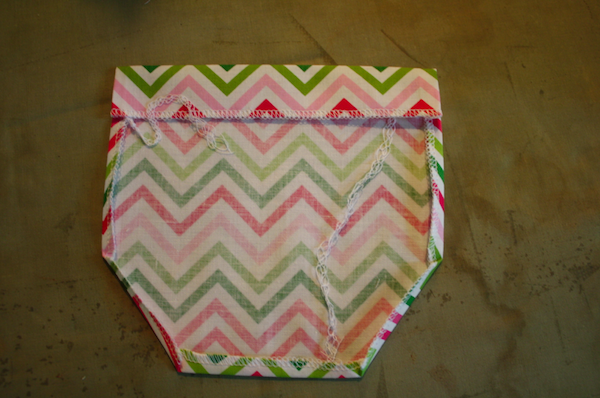 They are 7″ square. 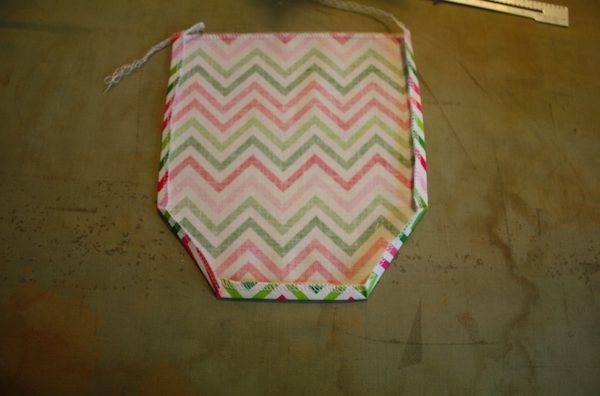 I folded them in half and cut an angle off the sides. I didn’t use any special measurement, just whacked it off. I serged around the edges. I didn’t measure, I just folded the sides in. 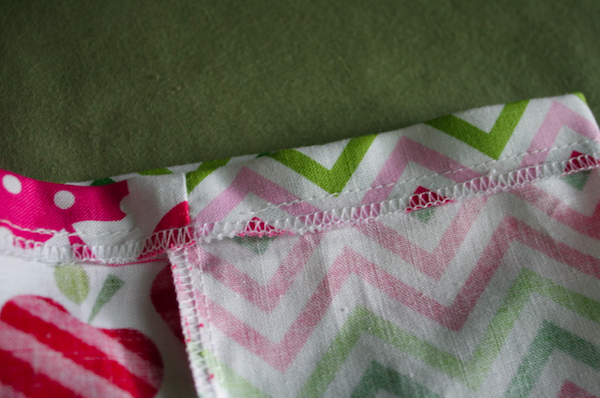 If you don’t have a serger, fold over twice. I do the sides and bottom first. and finally the top. I turned it down 1″ on both pockets. 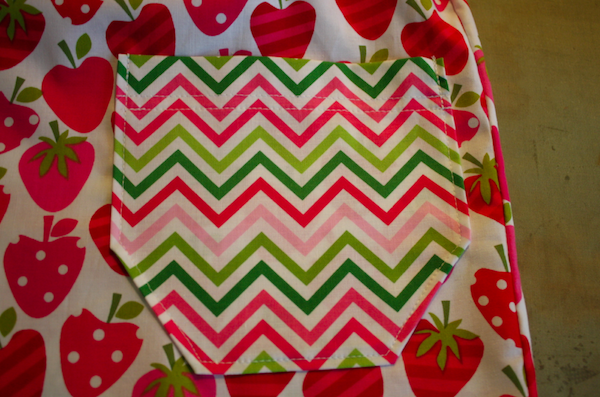 I ran 2 rows of stitching along the pocket to hold the flap down. Only 1 row is necessary, but I like the look of two. I then placed them on the dress, 1 finger width from the side seams. Technical, I know! 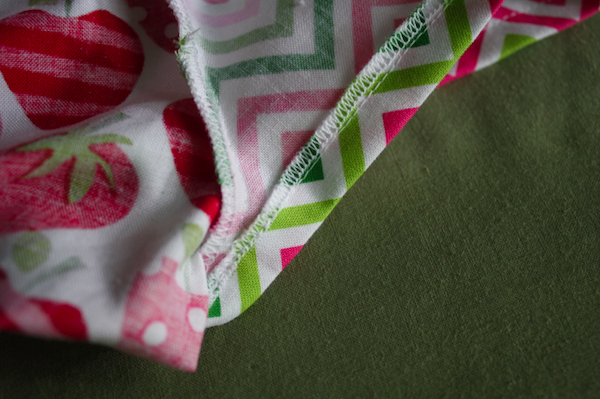 I stitched them on close to the edges, making sure I caught the parts I turned under. 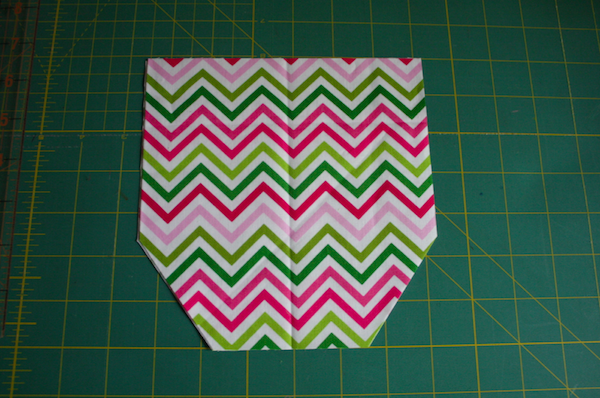 I put 15″ of elastic into the neck casing and 8″ each into the sleeves. I measured her tiny little arms and they are 7″ so it gave me some overlapping room. I didn’t want the elastic to be tight on her arms, just enough to keep the dress close without leaving marks. 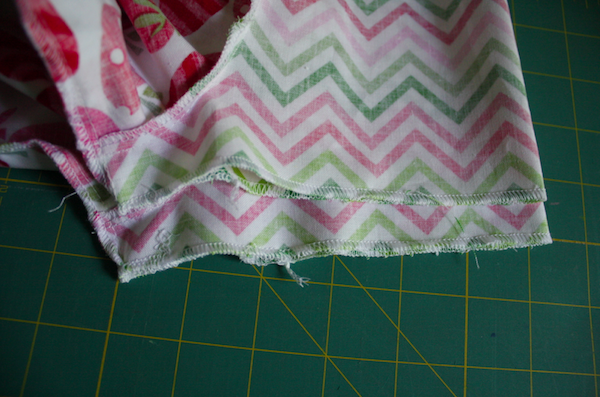 A 1″ hem at the bottom finished off the dress! She loves it and so do I. I’ve already got fabric out to make her 2 more! Thanks so much for having me, Melissa! perfect! 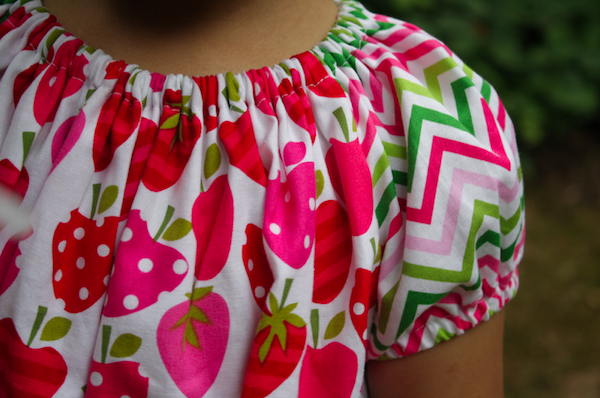 i’ve been looking for a pattern to use to make a short sleeved dress for my 3yr old from a skirt i dont wear, and i think i can use your sleeve and neckline instructions to make it happen! thank you thank you! Where do you get such a beautiful colorful fabrics? I can´t get them here in a little town (or village) where I am living in Spain. And you sew as a fairy, (or your mom) I congratulate you a lot. Super cute. Do you have the measurements for a size 6? Would love to make this for a birthday party this weekend.